After my many failed attempts at losing weight I had pretty much given up. I started to eat even worse than ever before, not avoiding sugar at all and eating tons of bread and pasta. In June 2008 I was officially diagnosed with type 2 diabetes and my doctor gave me a prescription for Metformin, a drug that helps control blood sugar. 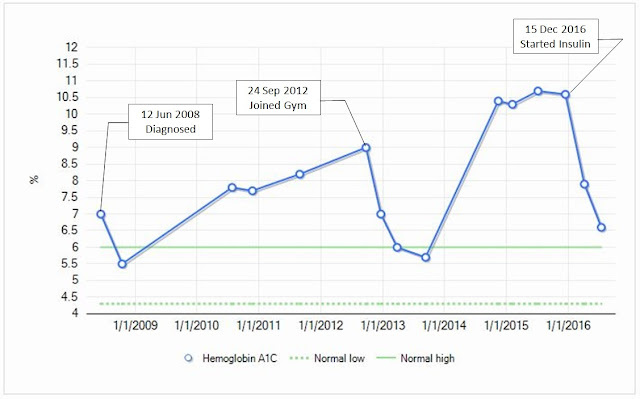 My initial Hemoglobin A1C (also known as HbA1c which is an average of blood glucose for 3 months) was 7.0%. Anything over 6.5% is considered diabetic, and anything over 6.0% pre-diabetic. Normal ranges are 4.3% to 5.5%. I took it seriously, exercised and cut out sweets. Four months later I had lowered my HbA1c to 5.5%. However, by July 2010 it had crept back up to 7.8% and in September 2012 it was 9%. Then for about a year my wife and I were going to the gym several times a week and working out hard. I managed to eventually lower my HbA1c back down to 5.7%. But then we stopped exercising and my HbA1c shot up to 10.7 by the end of 2015. That is dangerously high. I was starting to feel occasional neuropathy in my feet and would often feel nausea as my blood glucose spiked. I was definitely not taking care of myself. It was then that my doctor added a prescription for Lantus, a long acting injectable insulin. 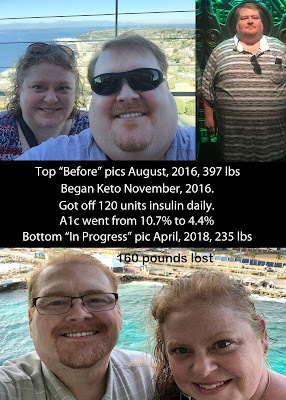 Over the next few months my dose increased to 120 units daily (a fairly large dose) and I was also put on Bydureon, an injectable medication that helps your pancreas produce insulin more efficiently. With the aid of these drugs I was able to get my HbA1c down to 6.6% by July 2016. But I still wasn’t happy. Diabetes is considered a progressive disease with no cure. 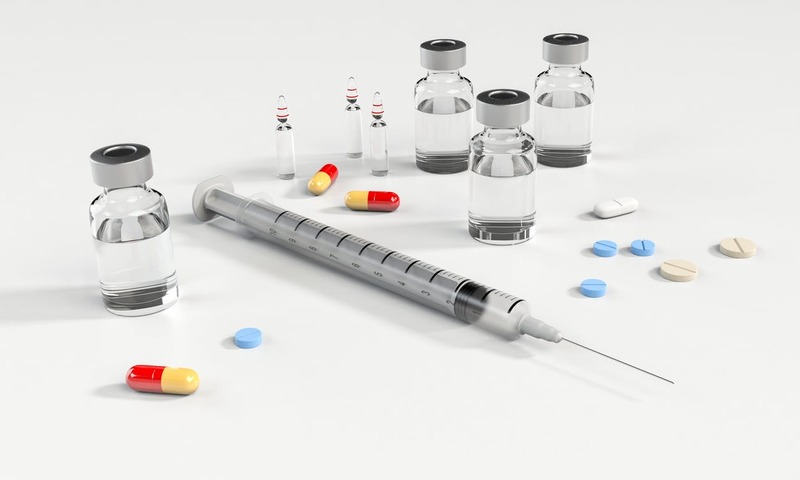 While some of the symptoms can be controlled with medication, it will progressively get worse and I was likely to suffer from one or more severe side-effects in the coming years. Side-effects such as heart disease, blindness, kidney failure, blood vessel damage, nerve damage, and amputations. None of these sound very fun. I really wanted to get back off the insulin. Based upon my past results I had a feeling a low-carb diet was the key, but I wasn’t exactly sure how I wanted to go about it. In my next post I discuss how I found the solution to my problem. 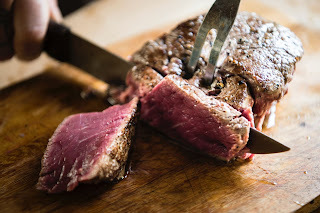 You can also read my previous post which discussed my success with the Atkins diet.